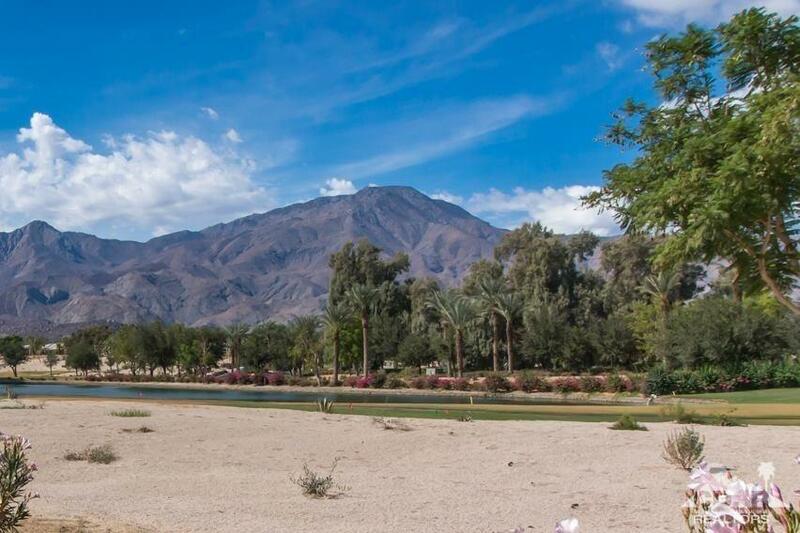 Arguably some of the best mountain views from this Maree plan located on the 18th fairway at The Golf Club at La Quinta's renown championship golf course. Just minutes away from the Santa Rosa Clubhouse, and all the amenities it offers, this 1,745 square foot home features 3 bedrooms, 2 baths, and an open floor plan with large TV niche and plantation shutters throughout. The open kitchen, with golf course views, includes a walk-in pantry, double ovens, granite counters and backsplash, prep island, built-in microwave and gas cooktop. Enjoy morning coffee or afternoon beverages in your own, private side patio. The additional bedrooms offer multiple locations for your family and friends to enjoy their own guest quarters. The master retreat has berber carpet and its own en suite bath, including dual vanity, large shower enclosure and walk in closet. 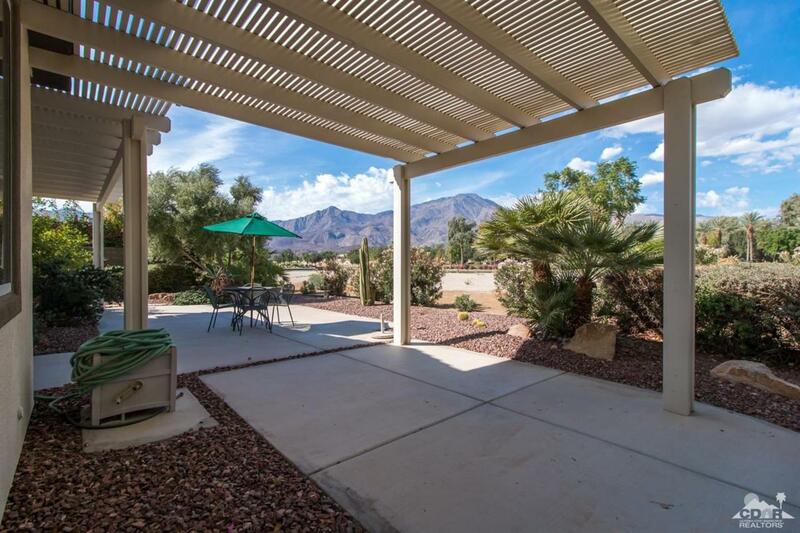 Beautiful mountain range and golf course views from your rear yard with ample seating and a alumawood pergola and professional landscaping. Listing provided courtesy of John Miller of Bennion Deville Homes.